Highlighters are like boyfriends. Each promising to do a zillion things but fall flat. Very rarely you come across one who has all the necessary ingredients qualities to bowl you over. I say don’t think twice even if you have to go to Mars to get THE one. I’m quite lucky to have been bowled over in both the categories. I can’t help you with the matrimony stuff but I can sure help you in finding your next best highlighter. Say hello to Oriflame Giordani Gold Bronzing Pearls! Oriflame Claims Bronzing powder pearls in five hues of sun-kissed colors. Skin gets a radiant glow thanks to micronised pigments which reflect light. Use as a bronzer or a blush over face and eyes. Giordani Gold is one the most promising ranges from Oriflame. Pick up anything GG and you know you are going to like it. These bronzing pearls come in 2 shades: Natural Radiance and Natural Bronze. 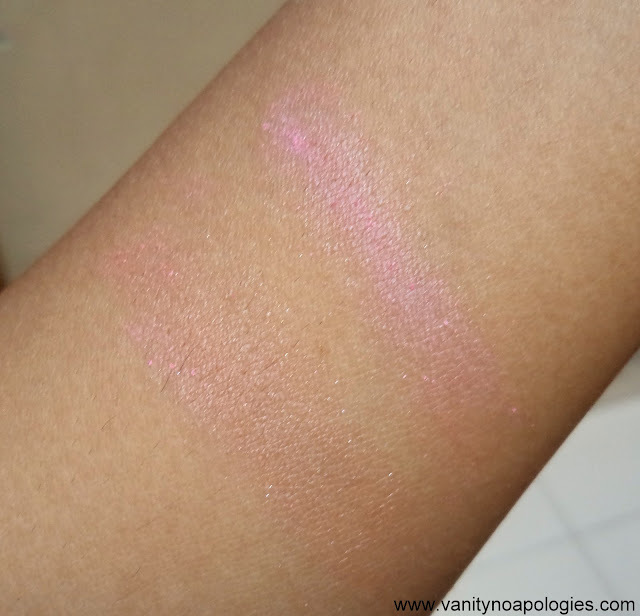 I’m reviewing the shade Natural Radiance. This one has pearls in two colors – pink and beige brown. The balls are powdery and soft so you just swirl a brush in the jar and apply on the cheeks. It gives this metallic sheen to your cheeks. No its NOT shimmery (I can hear a lot of sighs!) Its more of a highlighter than a blush since its not very pigmented. It stays for around 3-4hrs and starts fading after that. With winters now not far behind, it will stay on a bit longer now. The quantity is quite decent too, 25g if I’m not wrong. I got mine last year and the photos were clicked last month. The jar has got a mirror in it so it helps on-the-go girls. I suggest you use a small blush brush with it. To get the colour you have to keep applying it but then you run the risk of looking too powdery and made up. So I just use it for that diffused glow on the apple of my cheeks and temples. I’ve a sharp nose so I don’t use it there but you can also use it on the bridge of your nose for the slimming effect. So is it for you? A good highlighter never harms. Get it if you are looking for day-time highlighter which imparts a healthy glow than shimmer. Its sheer so you can control the amount you want to use. Amazing pearls!!! I love them! it looks like candy..yum yum.. I have the pressed version of this which travel friendly. 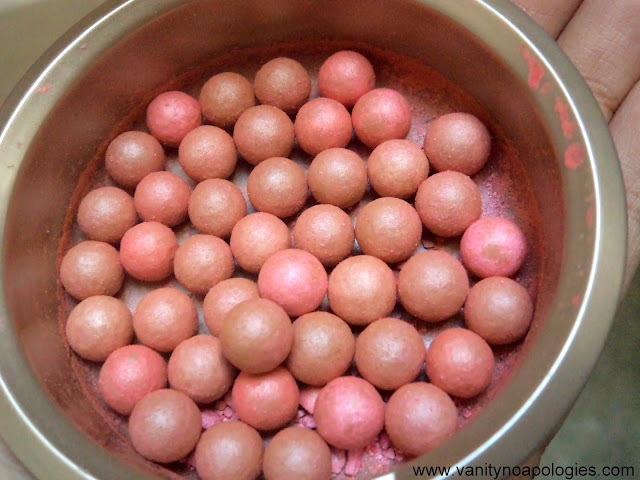 Its called “pressed bronzing pearls”, shade is natural radiance; the quantity is 9gms. It comes with a puff like the ones that you get in compact powders. I piked it up on a discount and I am absolutely loving it. Giordani gold bronzing pearls is now available at a discounted rate of 790 INR. Shades available are natural peach, natural radiance and natural bronze. I can be your oriflame consultant if you like. Finally I am gonna own this own :P Thanks for the blog sale ! 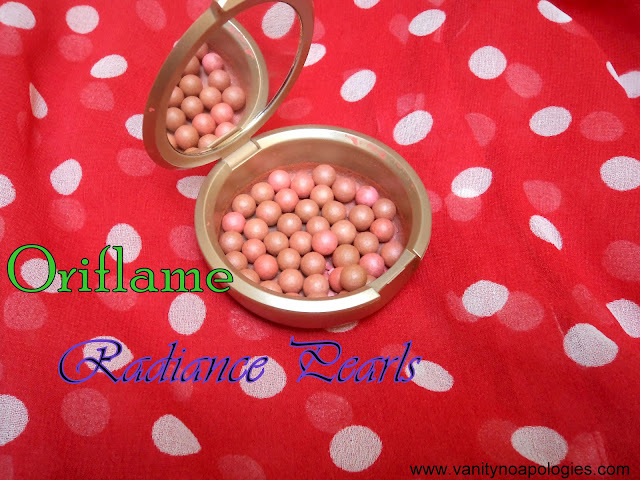 I just love these bronzing pearls from Oriflame. This just gives me a subtule colour enough to highlight. I really like using it when attending day functions. I use it everyday. Really a nice product as the office make up. Sounds more of a highlighter/blush rather than a bronzer.